One of your online marketing obligations is to build a healthy email list and market to it successfully. A sixth step, or best practice, could be added as well: Analysis. For this article we’ll focus on the first five steps. The five important steps in email marketing are creating your list using an email marketing software like Mailchimp, or ConvertKit, segmenting your list, making sure your campaigns are deliverable, outlining your marketing objectives and using consistent branding in your email marketing campaigns. 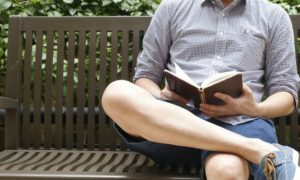 Before a successful novelist ever writes a chapter, she is completely familiar with the protagonist in the story. Indeed, she may know more about the main character in her story than she does her best friend. The first step in the list creation process is defining who your audience is. The description of this ideal target audience is also called an “avatar”. Your avatar is not a real person, per se… But who you envision your reader and/or audience to be. Your avatar is the same person you imagine will be helped when you start your online business, who you will be writing your blog posts for, who you will be designing your blog for, etc. Naming your list is the second step. The name of your list will be synonymous with who is being emailed. For instance, if you are emailing students who are interested in a “Green MBA” program, you would give your list an “internal name” of “Green MBA list”. Once your list is created, you’ll have a description of your “hero” (the individual email list recipient) and will have a name for your list. Next you want to think about all the potential problems that your “hero” has. This will help you segment, and how you can solve these problems. Once you have created your list and your avatar of who receiving your emails, you will want to segment your list. In our “Green MBA” example, the “hero” may be an early 20s woman who is interested in the environment and social entrepreneurship. She want to go into business, but wants to do well and do good at the same time. People like her in your audience may be interested in a 2 year MBA, or a 1 year MBA or an online MBA program. These are three separate segments of your email list. For each segment, you will create a different email campaign. The campaign could consist of one email, or it might be an autoresponder (automation email) consisting of several emails that are sent over time. Your emails have to be delivered to be useful. And deliverability of email is a big problem these days. 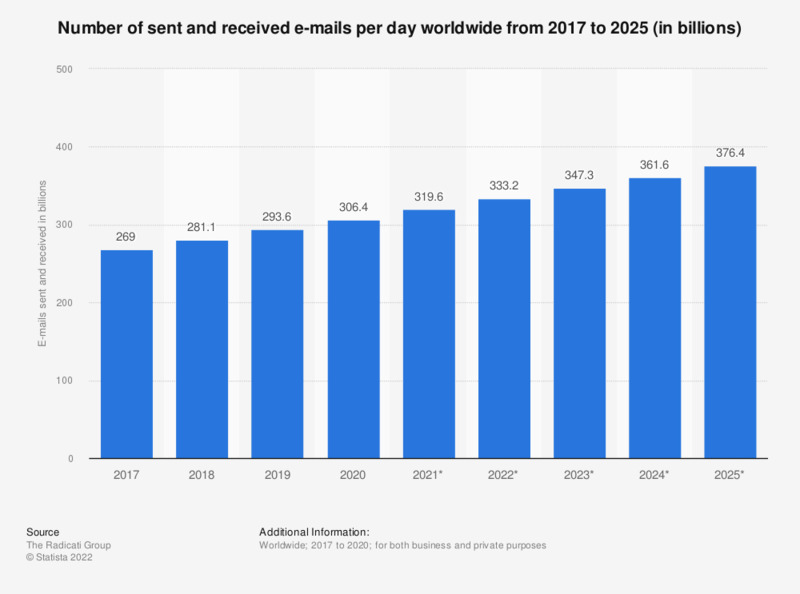 Indeed, according to the Statista chart below, over 225 billion emails were sent every day in 2017, and much of it was SPAM. It’s a miracle that free email providers, like Gmail and Yahoo, are able to deliver you the emails you want at all… But to combat the flood of Phishing, SPAM and junk promotional emails, they have gotten aggressive with their SPAM filters. Even beloved authors like Seth Godin have trouble getting their emails delivered to the inbox. And if Seth is having trouble, what can mere email mortals expect? Your reputation as an emailer. The quality of your list. The opt-in process you use to collect emails. The open rate of your emails. The content of your emails. The origin of your emails (the actual geographic location of your email server). SPAM reporting by your audience (either intentional or unintentional). All of these are different concerns in their own right. It can be a full time job just optimizing your open rates and click-through rates on different campaigns. Once an email has gotten to where it needs to go, what are you trying to accomplish? What are your email marketing objectives? Promote a product or service? When your customers open emails from you, does it look like they came from someone else? Does the brand at the top of the email match the page where they signed up? Your emails should resemble your website. If your subscriber signed up on your website, make sure the email use the same “trade dress” or color scheme and logo that your audience would find on your site. If someone signs up for a free “Green MBA Guide” don’t send them an email that is trying to sell them a solar training course. Amazon Insurance for Pro Merchants and FBA?